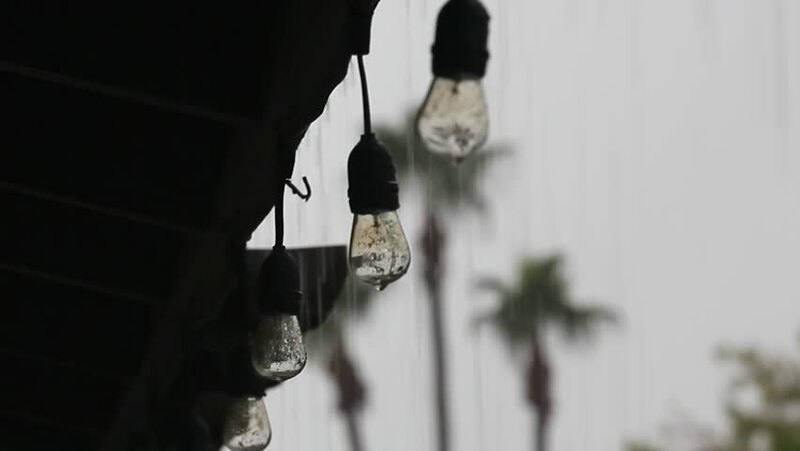 A string of electric, filament lightbulbs comes into focus as rain falls on a dreary day. The power is out and rain can be heard as it falls. The drops are long as they stream from the grey sky. hd00:17Deep shadows surround a man with a gun slowly walking up a staircase. hd00:45Washing a custom-made wedding ring.